There is now a huge demand for pre-school places which has increased the demand for child care centre management placements. In September 2015 there were around 1870 child care centre positions available. Our Australian Government currently spends just under $7 billion a year of which the majority supports families to have more affordable and quality child care. At the moment 1.57 million children go to some kind of pre-school so the demand for good, qualified managers is on the up. Our team can advise and help you in all areas of managing your business. We are experts in childcare business management, new projects, Assessment and Rating, Quality Assurance, National Education and Care Regulations, National Quality Framework, Policy and Procedures Development, and Child Care Benefit administration. We offer a consulting service especially for this area of childcare career. 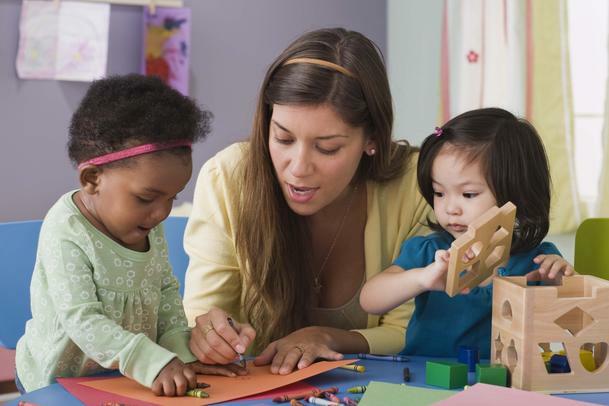 Below is a brief outline of what it takes to be a childcare centre manager. The responsibilities of a manager are to oversee operations on a daily basis and training the teachers and assistants. They may be involved in the education program,, following the children’s progress and child development, day to day activities prep and general safety requirements. The minimum qualification is a diploma in Early Childhood Education or alternatively a Diploma in Children’s services. You can improve your career by becoming a teacher with a Bachelor Degree. If you would like to know more about getting onto this career path then contact one of our highly qualified team here. The team at Kidsoft can answer all your questions and advise you on the best way to move into management and be a success. Must be able to relate to children and form good relationships with parents. Fit enough to lift, move equipment and lift children.